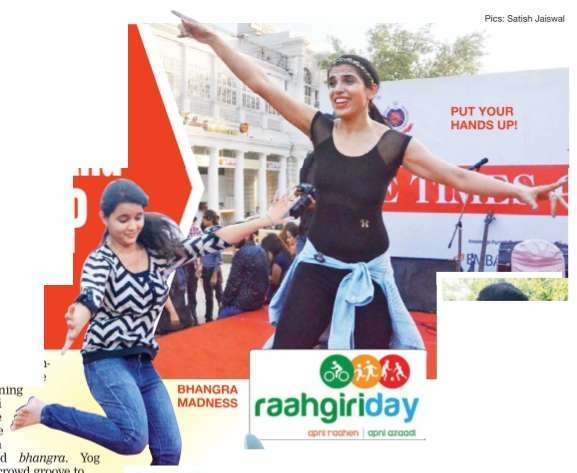 to celebrate Raahgiri Day , supported by The Times of India. The morning started with zumba, aerobics and bhangra. Yog Youngistan made the crowd groove to Bollywood numbers. The next performance was by Zakir Hussain College's arts and cultural society who sang, danced and beat-boxed. 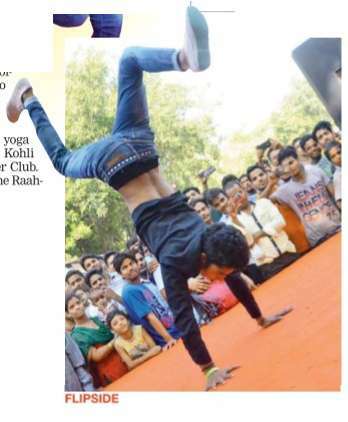 A few dancers from the crowd also joined the beat-boxer Pratik on stage. Following this, a laughter yoga session was conducted by Pankaj Kohli from the Malviya Nagar Laughter Club.Other than these performances, the Raahgirs had fun with Bhangra Destiny .